Description: In this dramatic slow motion video a golf ball collides with a piece of steel showing a large amount of compression. Different golf balls are designed to have varying amounts of compression based on the desired behavior of the ball. In a kindergarten class golf balls or baseballs are great examples of pushes causing changes in the motion of an object. In the upper grades this could be a great example of a collision. Students could investigate the behavior of different golf balls (or clubs) and even do some designing themselves. Description: The walking table uses pushes and pulls to move the table wherever it needs to be. This phenomenon can be used in kindergarten to show the difference between the two main forces (pushes and pulls). In grade three it can be used to illustrate balanced (not walking) forces and unbalanced (walking) forces. Description: In this video YouTuber UncleDaver safely navigates challenges 1-125. This toy shows how pushes and pulls can be used to change the motion of an object. It is a much simpler version of a Rube Goldberg device. 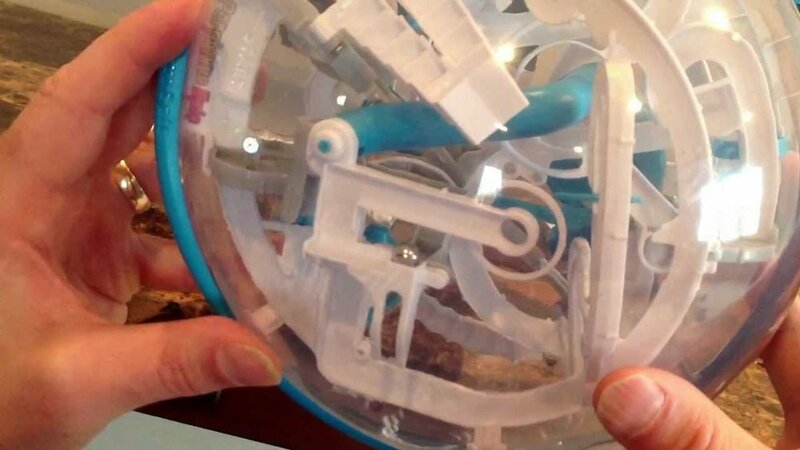 A simple version of the perplexus can be build using a box, marble, tape and blocks.